Posted on October 16, 2018 by treelawyer	tagged. As I was reminded in my quest for some experts in rather arcane disciplines, it’s a little more complicated than what Twain may have thought. 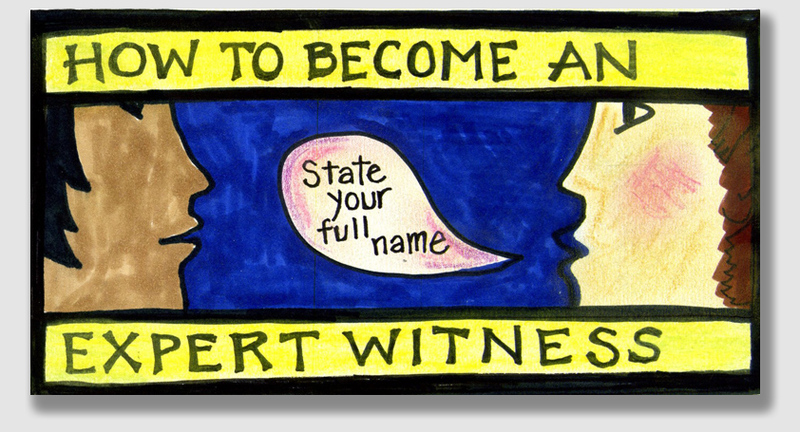 But not that much: certified arborists, operators of tree trimming services, even just guys from out of town – just about anyone can be qualified by courts as expert witnesses. 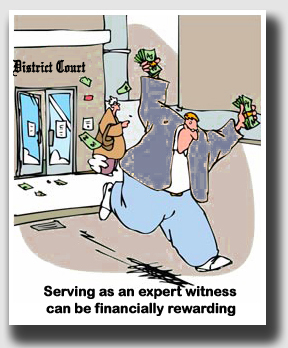 And what good is an expert witness? Primarily, experts testify not to facts, but rather to opinions. Juries like opinions. Opinions sway juries. In today’s case from Arkansas, a frolicking bulldozer operator wiped out a bunch of a neighbor’s trees. Clearly, she was entitled to damages. But how much would the damages be? She hired the county extension agent to testify as to the value of the trees that had been cut down. The defendant complained that the expert relied on timber sales reports written by others, but the Court of Appeals accepted his opinion, and in the process explained what type of research process it wanted to see as a basis for an expert opinion. Of course, the state’s treble damages statute, which multiplied the value of the lost timber by threefold, made the expert’s opinion all that more important to both sides. Incidentally, the defendant tried to argue that there was no proof that the bulldozer operator was his agent, but that was a mere sideshow: the evidence was overwhelming on that point. Nora’s son, saw John Moore operating a bulldozer in the area of the destroyed timber, which was located on Pitts’s property line with Jackson’s land. Lloyd said he walked along his mother’s land shortly afterward and saw holes where trees had been removed from the bulldozed ground. Another witness saw the bulldozer activity on Pitts’ property, and said that the bulldozer operator told him that he had been directed by Jackson to perform the work. The trial court found that the Jackson and Moore trespassed Pitts’ land and destroyed marketable timber, setting the value of the destroyed timber at $1,157.20. Treble damages allowed under §18-60-102 of the Arkansas Code increased the judgment of $3,471.60. Jackson appealed. Held: The trial court judgment was upheld. Jackson claimed that treble damages were unjustified, but the Court disagreed. The imposition of treble damages in a trespass action for trees damaged, broken, destroyed, or carried away requires a showing of intentional wrongdoing, although intent may be inferred from the carelessness, recklessness, or negligence of the offending party. Here, the Court said, the evidence was sufficient to support a finding that an agency relationship existed between Jackson and the bulldozer operator such that Jackson was liable for the operator’s damage to Pitts’ timber. Lloyd Pitts saw the bulldozer on his mother’s property operating in the area of the damaged timber, and saw Moore operating it. Another witness said Moore said he was working for Jackson. Jackson admitted he had hired Moore to work on his property with a bulldozer, and that if any trees had been removed from Pitts’ property, it would have been done by Moore. As for the amount of damages, the Court said, the evidence in each trespass case determines what measure of damages should to be used to value trees damaged, broken, destroyed, or carried away. Timber is generally valued according to its “stumpage value,” which is the value of the timber standing in the tree. Here, Pitts’ expert witness gave testimony of the estimated number of trees destroyed by Moore, and their market value at the time. The evidence was admissible, the Court said, even though the opinion relied in part on hearsay. The expert described the methodology he used to compute timber value within a specified area, which included diameter measurements of randomly-selected trees, an estimate of the timber volume multiplied by the number of trees within a specified area, and the use of a university timber market report to obtain an estimated market value. What’s more, the Court observed, the expert testified he personally walked the area to conduct his measurements and testified he walked off the area that was bulldozed, and then went into the woods next to that area to measure a similar amount of land and counted the trees within it. The Court said an expert witness may base an opinion on facts or data otherwise inadmissible, as long as the facts or data are of the type reasonably relied on by experts in that particular field.